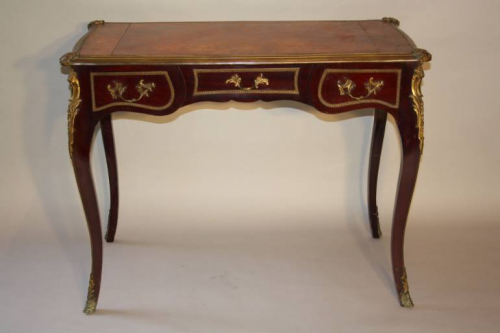 An elegant Louis XV revival bureau with ormolu mounts and original distressed leather top. Three drawers to front and dummy drawers to rear, so can be styled in the centre of a room as well as against a wall. French c1920. Lovely ageing throughout.